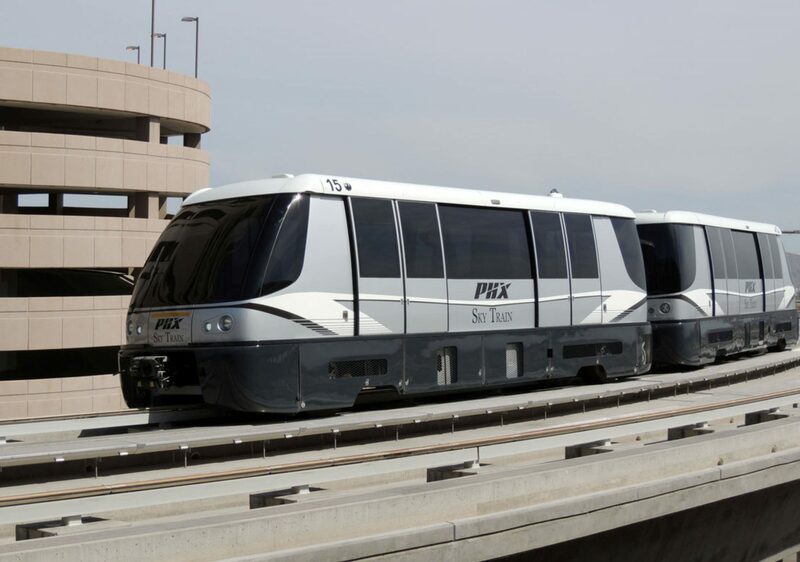 The City of Phoenix has awarded Bombardier Transportation a $305 million contract to extend the automated people mover (APM) at Phoenix Sky Harbor International Airport. Under a contract awarded in 2009, Bombardier designed and supplied all electrical and mechanical equipment for Stage 1 of the the PHX Sky Train APM system. This connects Terminal 3, Terminal 4, airport parking and the regional transit network along a 3.8km line. The new deal marks the start of Stage 2, which will see Bombardier extend the system by 4km to the airport’s rental car centre, build two new stations, expand the existing maintenance facilities and supply an extra 24 Innovia APM 200 vehicles. This will increase the fleet to 42 Innovia APM 200 vehicles. Options have also been included in the new contract for an additional three vehicles, as well as various vehicle retrofits and upgrades. Phoenix Sky Harbor Airport is expanding the APM, which is free to ride 24 hours a day, 365 days a year, to meet future demand. Bombardier Transportation Americas region president Benoit Brossoit said: “We place great value on our long-term relationship with our valued customer. Bombardier has also provided maintenance services from the system’s opening in 2013. It said that the APM system has achieved an availability of 99.5 per cent each year since.